VIC² has chosen to work closely with the Douglas/Elbert Task Force to support their mission of providing assistance to people in our community who are in need. Each member is asked to make a tax-deductible financial donation when registering, as well as at fundraising events throughout the year. In addition to financial donations, VIC² collects in-kind donations, and volunteers at the DETF facility and events. Read on for a brief overview of DETF, and click through to their link for more information. 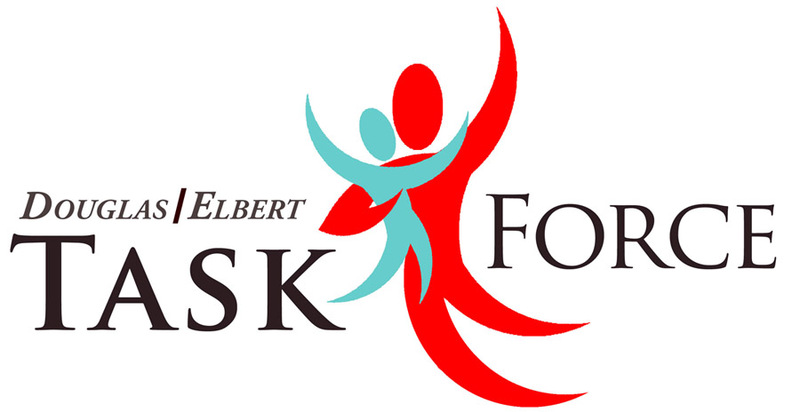 The Douglas/Elbert Task Force is a 501(c)3 non-profit human service organization dedicated to providing assistance to people in Douglas and Elbert County who are in serious economic need, at risk of homelessness, or in a similar crisis. We address immediate needs by consistently providing counseling, food and other necessities for homeless, low income and the working poor people in our community. We concentrate on the causes of hunger by actively working on issues that affect the newly underemployed, the unemployed and those on fixed incomes, disabled and the elderly. We meet these challenges with over 230 volunteers, two full-time and nine part-time staff. Each client receives one-on-one counseling. We provide quality screening, service delivery and meaningful referrals for clients. Task Force client walk-in client service hours are 9 am-12 pm, M-F. Learn more at their website. The Douglas/Elbert Task Force is a 501(c)3 non-profit human service organization dedicated to providing assistance to people in Douglas and Elbert County who are in serious economic need, at risk of homelessness, or in a similar crisis. We address immediate needs by consistently providing counseling, food and other necessities for homeless, low income and the working poor people in our community. We concentrate on the causes of hunger by actively working on issues that affect the newly underemployed, the unemployed and those on fixed incomes, disabled and the elderly. We meet these challenges with over 230 volunteers, two full-time and nine part-time staff. Each client receives one-on-one counseling. We provide quality screening, service delivery and meaningful referrals for clients. Task Force client walk-in client service hours are 9 am-12 pm, M-F. This past fiscal year (January – December 2013), we served 14,740 people. Over 6,000 or 41% of the people we served are children! People who are in crisis operate under incredible stress. Having a calm, warm, quiet place to come, and being greeted and made welcome by a smiling volunteer immediately diffuses some of that stress. For the kids, we provide an airy, quiet space with room for them to play safely. Having the opportunity to be listened to and to be heard by staff who not only understand but who can often make a difference that day is an incredible relief, particularly for clients with children. We go through many, many boxes of tissues, and hugs are given liberally at the Task Force. Brief History: in 1984, local parishioners of several Castle Rock churches joined forces to create a centralized location to send people in need. The founders also wanted to encourage volunteerism by providing opportunities for the members of their congregations to become directly involved with the needs in their communities. Food and Toiletries: approximately 86% of our clients receive these basic services. We also provide diapers, formula, and special dietary items. We also distributed $761,491 in food, hygiene and household supplies. We conduct two off-site Food Banks monthly at low-income senior housing units, providing approximately $75,000 of food/hygiene assistance per year to senior citizens in need. Housing Assistance: we assist clients who present eviction or foreclosure notices with up to $250 in financial assistance in order to prevent homelessness, and help clients with security deposits to obtain new living arrangements. We provided $56,624 in assistance for 214 households. Utility Assistance: we provide utility assistance (heat, electric, water) to clients with shut-off notices. We provided $157,007 in assistance for 595 households. Emergency Overnight Lodging: in conjunction with the Police and Sheriff’s Departments, we provide a total of $18,839 in vouchers for two to nine nights lodging for homeless or transient individuals and families. Clothing, Household Items: clients may “shop” for free in Treasures on Park Street for clothing and shoes, household items and furniture. We distributed almost 39,000 items from Treasures valued at $116,998. ID Documentation: we assisted clients in securing the documentation needed for housing applications, school and social services including Colorado State IDs, birth certificates, police records, etc. Information and Referral: staff and volunteers made thousands of referrals connecting clients to other agencies and resources to provide long-term solutions to problems. Santa’s Sharing: this program sponsored 195 families with the support of community individuals and organizations for the holidays in 2013. Donors provided gift cards and approximately 3,500 toys. Parents may also use our Toy Chest (Birthday Room) year round if they cannot afford birthday gifts for their children, or if their child needs a new gift to attend another’s birthday party. Treasures on Park Street: our thrift store accepts donations of new and gently used merchandise for resale. Proceeds help fund our programs and remain in our community. Treasures on Park Street revenues were $363,964 –revenue returned to our neighbors! Task Force Volunteers: provided 30,759.5 hours of service, valued at $681,015, the equivalent of 23 full-time staff. Community Service Volunteers contributed an additional 3,688.5 hours, valued at $36,885, the equivalent of 1.2 full-time staff.